Beyond 'Mrs. Jones': Billy Paul's Music You Might Not Have Heard : The Two-Way Two things help explain Billy Paul's unique vocal style: his early dreams of playing saxophone, and his emulation of female jazz singers such as Billie Holiday. 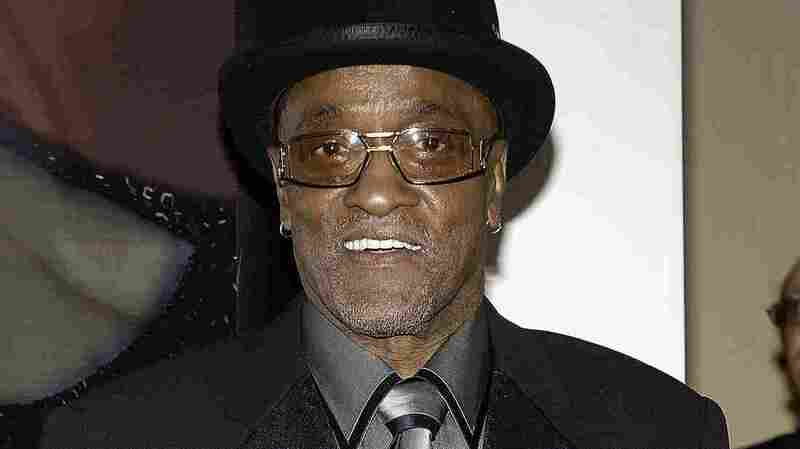 Billy Paul, the singer of "Me and Mrs. Jones" and other soul ballads, has died. He's seen here in 2006. Billy Paul, the soul singer whose smooth voice and impeccable phrasing made "Me and Mrs. Jones" into a classic, has died at age 80. A Philadelphia native whose name at birth was Paul Williams, the singer reportedly had cancer. Paul's manager, Beverly Gay, tells NBC10 in Philadelphia that the singer died Sunday morning. He had recently been diagnosed and was hospitalized last week, Gay says. She says Paul died at his home in Blackwood, N.J., southeast of Philadelphia. "We would like to extend our most sincere condolences to his wife Blanche and family for their loss, as they and the world grieves the loss of another musical icon that helped pioneered today's R&B music. Billy will be truly missed." In 1972, Paul won a Grammy Award and topped the charts with "Me and Mrs. Jones," a plaintive ballad about an affair. Thanks in large part to his vocal range and silky delivery, the confessional song became a hit for the ages. Two things help explain Paul's unique vocal style: his early dreams of playing saxophone ("I took my uniqueness and treated it like a horn," he once said), and his emulation of female jazz singers such as Billie Holiday. "I think the reason behind that is because of my high range," he said on his website. "The male singers who had the same range I did, when I was growing up, didn't do much for me. But put on Nina Simone, Carmen McRae or Nancy Wilson, and I'd be in seventh heaven. Female vocalists just did more with their voices, and that's why I paid more attention to them." While he's most famous for singing about love, Paul made music that focused on many topics and drew on wide influences. Fellow Philadelphia native Questlove of The Roots has called Paul "one of the criminally unmentioned proprietors of socially conscious post-revolution '60s civil rights music." That quote comes from Paul's website, which posted a video clip in which Questlove compares Paul to Marvin Gaye and Stevie Wonder. "Nothing against those brothers," the drummer says, "but Billy Paul, in every aspect of his presentation, is really the first person to bring reality." In 1976, Paul created a kind of mashup version of Paul McCartney's "Let Em In" that recast the song as a civil rights anthem, complete with samples from speeches by Malcolm X and other leaders. As part of the Philadelphia International All Stars, Paul sang alongside other soul legends — Lou Rawls and the O'Jays, among them — to record "Let's Clean Up the Ghetto." In 1979, he styled a plea for social harmony and stability into an upbeat disco number, with "Bring The Family Back." As a young talent, Paul studied at the West Philadelphia Music School and the Granoff School of Music. He was just 16 when he shared a bill with jazz legend Charlie Parker at a club in Philadelphia. "He died later that year," Paul said on his website. "I was there with him for a week and I learned what it would normally take two years to pick up. Bird told me if I kept struggling I'd go a long way, and I've never forgotten his words." In the 1950s, while serving in the Army in post-World War II Germany, Paul shared a post with Elvis Presley. But he said Presley wasn't interested in joining the jazz band he formed with Gary Crosby (Bing's son). "We were in Germany and we said we're going to start a band, so we didn't have to do any hard work in the service," he said on his website. "We tried to get Elvis to join but he wanted to be a jeep driver."